Bude Windows & Conservatories Ltd offer a wide range of quality glazing services across Bude and the surrounding Cornwall and Devon areas. We can supply and fit quality garage doors. 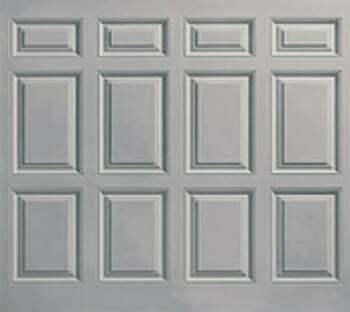 GRP (Glass Reinforced Polyester) garage doors are quite simply the best doors that you can buy. GRP has a better strength to weight ratio than steel, is a natural insulating material, it won’t warp, shrink or rust and is virtually maintenance free. A modern composite laminate, GRP is a versatile and well proven construction material that has been in use for over 50 years in a huge variety of applications, from boatbuilding, to motor vehicles, to building materials. GRP is probably the ultimate material from which to manufacture a garage door. Unlike steel, GRP door panels will not rust or corrode, and are particularly suitable for areas close to the coast where steel doors are severely tested and often have a disappointingly brief life. GRP can be moulded in smooth gloss finishes or with a stunningly life like Woodgrain finish, using moulds taken from real high quality solid timber door designs to give an authentic and faithful finish to your garage door that will even deceive the experts. GRP doors are manufactured by skilled laminators and finishers in our Verwood factory where each door is built to order. 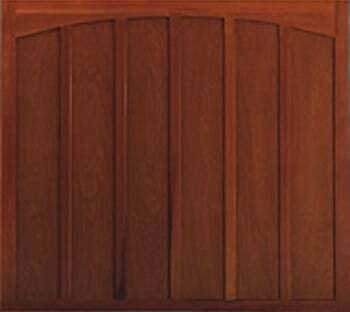 Unlike mass produced ‘synthetic’ machine applied finishes, Wessex timber effect doors replicate nature in that, when completed, no two doors are ever identical, each having been built and finished by hand. One further significant feature of GRP is its’ ease of repair. 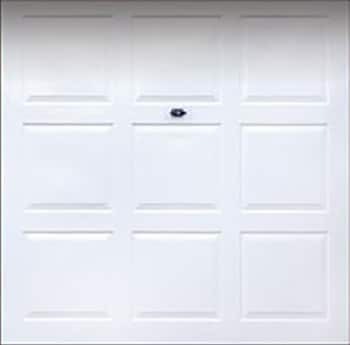 Should a door panel become scratched or damaged, GRP, more than any other material used in garage door construction, is easily and effectively restored leaving a repair that would pass the closest inspection. ABS garage doors closely match and complement the finish of today’s widely available white PVCu window products and share their durability and low maintenance nature. 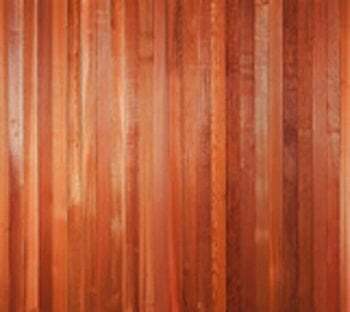 The warm traditional appearance of Wessex Timber garage doors is due to the beauty of the solid cedar panel or external grade ply panel with cedar facings used in construction. Garage doors are guaranteed against any form of manufacturing defect for a period of 2 years from the date of original purchase, they are also guaranteed to operate safely and smoothly for 10 years. Electric operators are guaranteed against any form of manufacturing defect for a period of 5 years for mechanical elements, motors and transformers and for a period of 2 years for other electronic and radio equipment. "We have finally erected our Simplicity 6 canopy, amid some terrible weather. We are extremely pleased with this and have had nothing but excellent responses from everyone who has seen it. The structure is far superior to any other which we considered." "Really happy with it!It was the best thing we could have done, it has transformed the side of thebungalow and Rob said the guys did a great job." Do you have any colour options available for your carports and canopies? The aluminium framework used in our Simplicity products is supplied in white as standard but can be coloured to any RAL or BS colour to suit your requirements. We do offer an installation service at an addition cost if you prefer us to install the system for you. Alternatively, you may choose to install the products yourself. We do supply comprehensive installation guides to help fit the product with ease. Do you offer glass roofing panels? Yes! Our Simplicity 6 system is fitted with self-cleaning glass to create a sparkling canopy or carport that offers an unobstructed view of the sky from under your canopy, perfect for star gazing at night! Do you supply all the components needed to install? All products within the Simplicity Series will be sent to you as a complete kit, all you need to do is fit the component parts together and fix the structure securely in the required area. Our 4 Simplicity systems are each designed to be used with a specific roofing thickness and material. The Simplicity 35 has a 35mm polycarbonate roof and the Simplicity 16 has a 16mm polycarbonate roof. For added luxury, our Simplicity 6 is fitted with 6mm toughened glass and our Simplicity Alfresco is fitted with 8mm toughened glass for the ultimate high-end finish to your veranda. Are your products classified as Non-Fragile? Do your structures require planning permission or building regulations? land. We advise contacting your local planning department for specific advice on your requirements. You can call us on our contact number at the top of this page to speak to our friendly sales advisors or email us with your request and we will get back to you as quickly as possible. Our lead times vary dependent on the product chosen, however we will always aim to get these to you within the deadlines required by you.